Today marks a very important festive day as it is the beginning of the Hindu New year according to the lunar calendar. The festivals of Gudi Padwa, Cheti Chand, Ugadi, Chaitra Sukladi are being celebrated today. An array of all festivals, people are bound to exchange greetings and wishes with each other. Gudi Padwa or Gudhi Padwa marks the beginning of the Maharashtrian New year. People attend the Shobha Yatra, which is the traditional procession, hoist a Gudi in their balconies and prepare special delicacies. 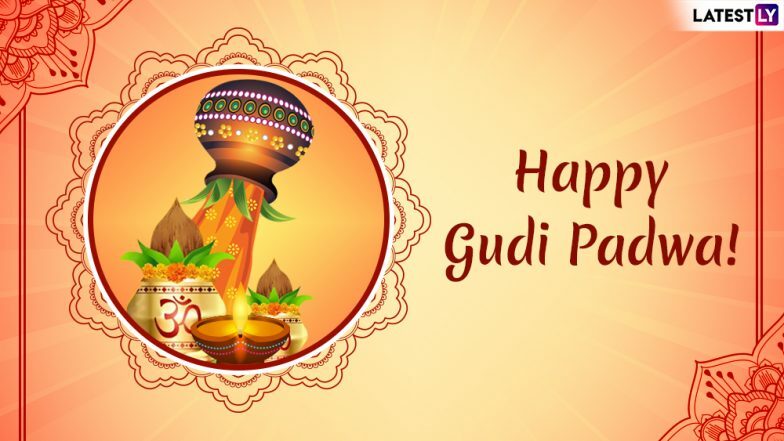 If you are looking for Gudi Padwa 2019 wishes to greet everyone on this auspicious day, let us give you a collection of Gudi Padwa messages and images. You can also send Gudi Padwa WhatsApp stickers and convey your wishes to everyone. 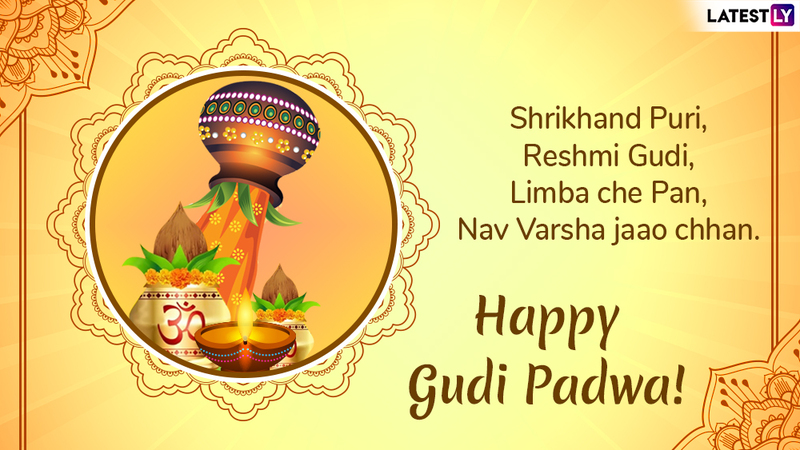 Given below are wonderful Gudi Padwa messages, Ugadi stickers, images, GIFs, SMS and quotes to wish Happy Gudi Padwa to everyone on this day. Happy Ugadi 2019 Messages & Gudi Padwa Wishes: WhatsApp Stickers, GIF Images, Instagram Photo Greetings to Share on the Telugu New Year. Gudi Padwa is an important festival for the Marathi speaking community as it marks their new year. People deck up their houses, hoist a Gudi and hope for a prosperous year ahead. This day also marks the beginning of the Chaitra Navratri, a nine-day festival that worships Goddess Durga. People also get together and exchange festive greetings and messages. 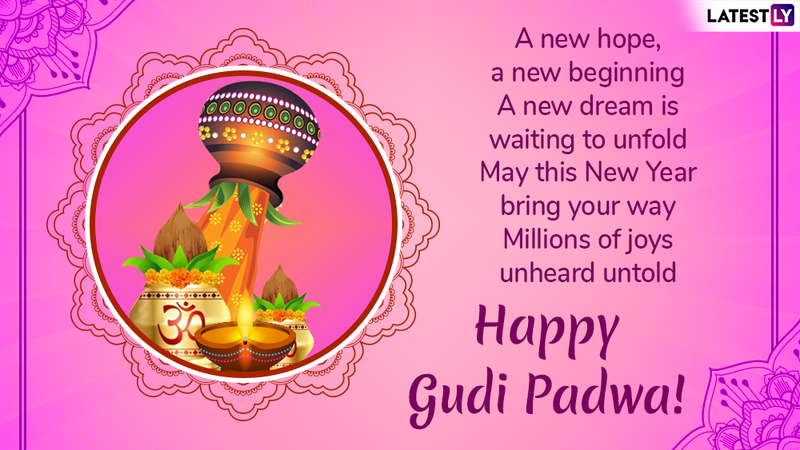 If you are looking for Gudi Padwa messages and images we give you a lovely collection of messages and quotes. Easy Gudi Padwa 2019 Rangoli Design Images: Simple Ugadi Kolam Rangoli Patterns to Celebrate Marathi New Year (Watch Video Tutorials). 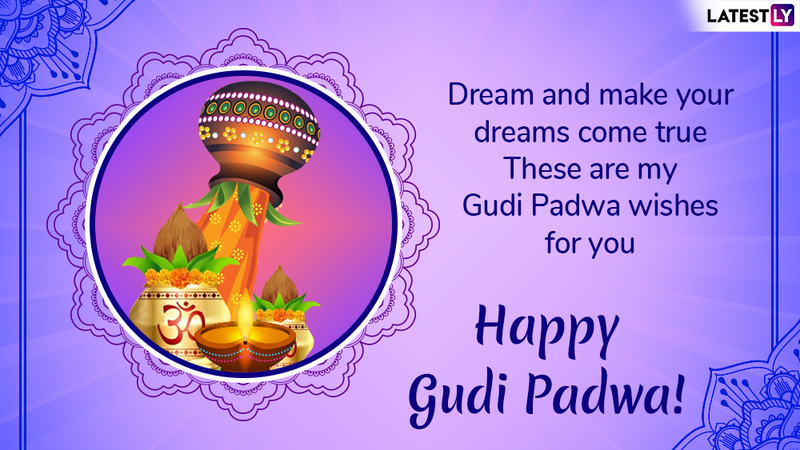 Message reads: Dream and make your dreams come true, These are my Gudi Padwa wishes for you Happy Gudi Padwa! Message reads: As the new year ushers in…here’s wishing your way lots of love, happiness and prosperity! Happy Gudi Padwa! Message reads: Shrikhand Puri, Reshmi Gudi, Limba che Pan, Nav Varsha jaao chhan, Happy Gudi Padwa! Message reads: Wishing you a colourful beginning of the new year! May this new year bring you lots of happiness and laughter. Happy Gudi Padwa! You can also send your beloved wishes through WhatsApp stickers these days. The new feature makes it easy to send your greetings with just one click. 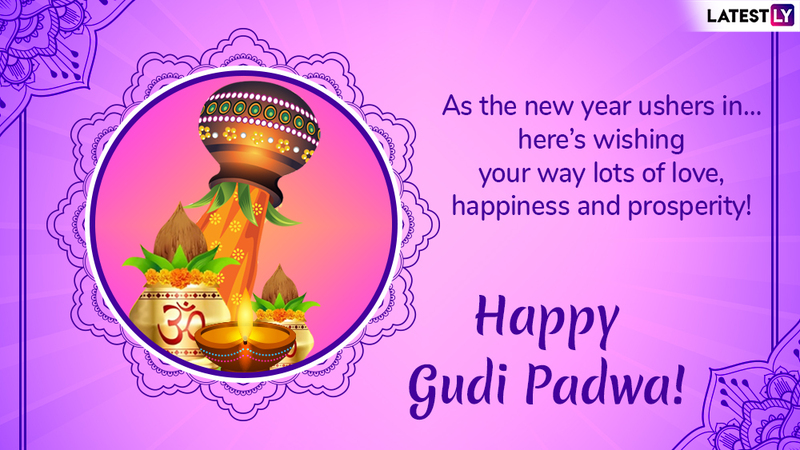 You can download Gudi Padwa sticker pack and send these stickers through your app. Likewise, you can also download special stickers for Ugadi and other festivals and send them through WhatsApp. We hope the above messages, GIFs, quotes and wishes help you to send greetings to your friends and family. 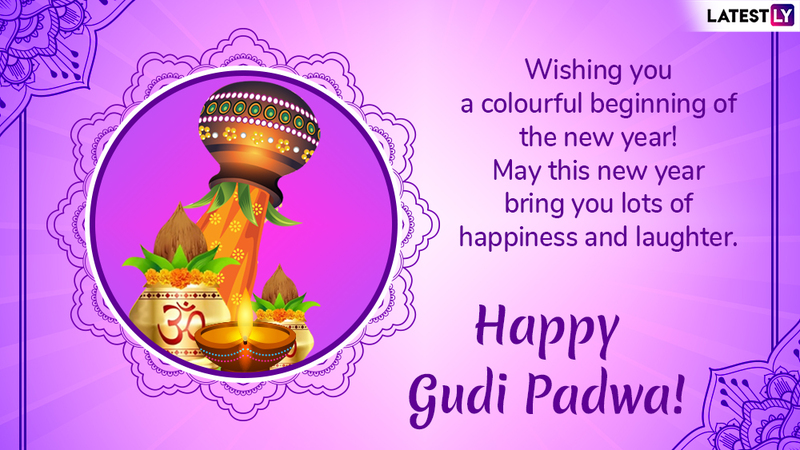 We wish all our readers a very Happy Gudi Padwa 2019!